WELCOME TO THE CALDWELL LIONS WEBSITE! We are happy you chose to visit our site. Our club is part of District 39W and is located in beautiful Caldwell, Idaho. 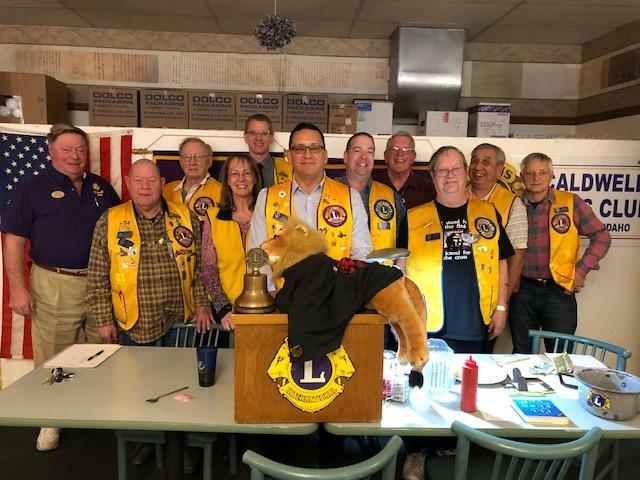 Caldwell Lions has been helping the citizens of the Treasure Valley for 80 years and plans on continuing the honor of serving our community for many, many more! Lions Club is involved in many community events including the world famous Caldwell Night Rodeo where our booth is widely known for serving the best fingersteaks in the valley. We raise funds to support the Sight and Hearing Foundation by hosting a booth during the annual Canyon County Fair. Our members also gather together to create an entries in our city's 4th of July Parade and the Night Light Parade. These events are just a taste of the many yearly activities we participate in. We supplied over 100 eyeglasses last year. We financially support many community activities. "WE SERVE". If you are in our city and would like to attend a meeting to check us out feel free to stop in. We would love to have you!